Lack of ready access to abortion is the primary cause of global warming, according to a new interview with radical feminist Gloria Steinem. The founder of Ms. magazine had no trouble linking two of the emblematic leftist causes into one mega issue, arguing that lack of access to “reproductive health services” leads to overpopulation, which in turn causes the earth to warm uncontrollably. 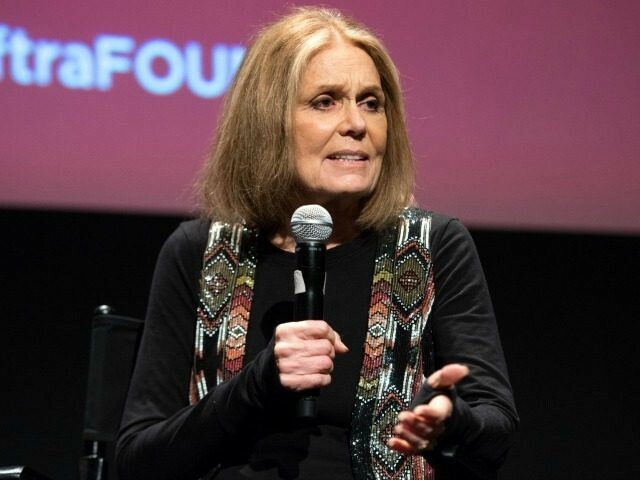 Asked by Refinery29 whether climate change wasn’t also a “feminist” issues, Ms. Steinem ran with the question, connecting a series of invisible dots into a diatribe against the evils of patriarchy. “Are you kidding me? Listen, what causes climate deprivation is population. If we had not been systematically forcing women to have children they don’t want or can’t care for over the 500 years of patriarchy, we wouldn’t have the climate problems that we have. That’s the fundamental cause of climate change,” she said. “Even if the Vatican doesn’t tell us that,” she added. It wasn’t immediately clear why Ms. Steinem limited the effects of a heavy-handed patriarchy to the last 500 years, since ancient Greece, Rome, China and India were arguably more “patriarchal” than the Christian Europe of the Renaissance, but this wasn’t really the core of her argument. The 83-year-old Steinem has made an entire career out of fusing feminism together with the abortion industry, regularly shilling for Planned Parenthood and insisting that women will never be “fully equal” to men unless they have unlimited abortion rights. By Steinem’s definition of feminism, Ivanka Trump—though a liberated, successful career woman—is not a true feminist because she doesn’t actively promote abortion rights. This was not the first time that Ms. Steinem has blamed global warming on a lack of abortion rights. As the keynote speaker at a Planned Parenthood fundraiser in September 2016, Steinem reiterated the same message. “Forced childbirth is the single biggest cause of global warming,” she proclaimed, while also discussing the connections between feminism and anti-racism. Moreover, in 2015, Steinem extended the blame even further in an interview with Cosmo’s Prachi Gupta, declaring that the Pope and all “other patriarchal religions” were responsible for global warming, because they restrict women’s reproductive rights. “I had this thought that we should have this massive education campaign pointing out that the Pope and all of the other patriarchal religions that dictate to women in this way, accusing them of global warming,” Steinem said. “Because the human load on this earth is the biggest cause of global warming, and that is because of forcing women to have children they would not on their own choose to have … I’m glad the Pope spoke out about global warming and it was very helpful, but does he know he’s causing it?” she added.